It has been a long evening, so helping it on its way (and probably explaining the gingerbread issue!!) was a rich, delicious and grown up feeling cocktail. I say grown up feeling as I am not sure real grown ups have cocktails on a Thursday night. Maybe I am mistaken, happily I am not a real grown up yet so I can’t comment further! What I can comment on is the fact that whisky and apple go amazingly well together. 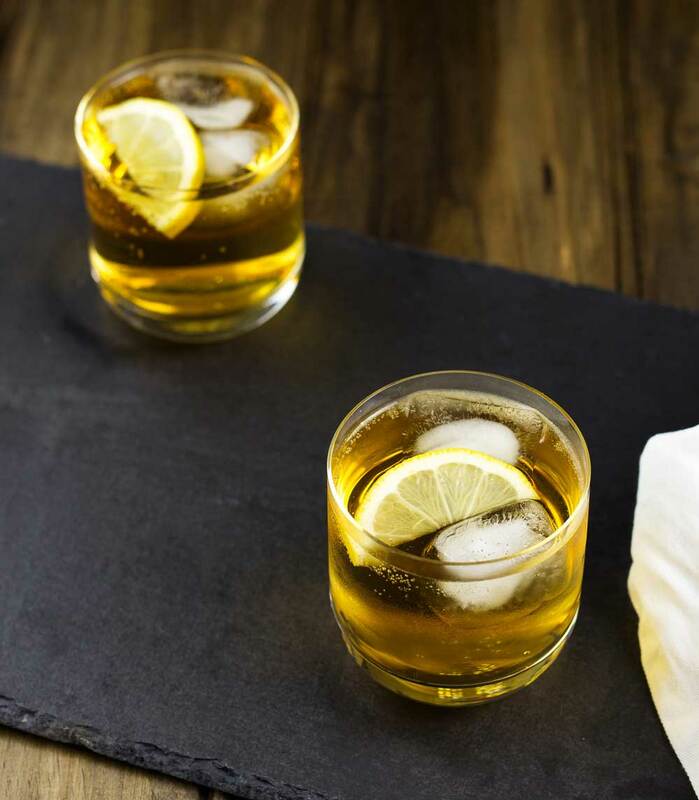 Perk it up with some ginger ale, a squeeze of lemon and you have something delicious. I am talking seriously quaffable! I saw Matt Preston make this in one of those snippets during the adverts of Masterchef and since then it has been on my list of things I must try. And as it was so seriously quaffable I thought I would share it with you. (p.s how great is the word quaffable? It is up there with scrumptious as cool foodie words) . If you love this recipe why not subscribe to my newsletter, then you can have delicious recipes straight into your inbox. 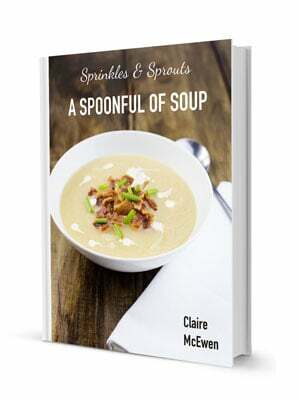 What is more as a thank you I will send you my soup ebook for FREE! Pinterest | Facebook | Instagram | Twitter. 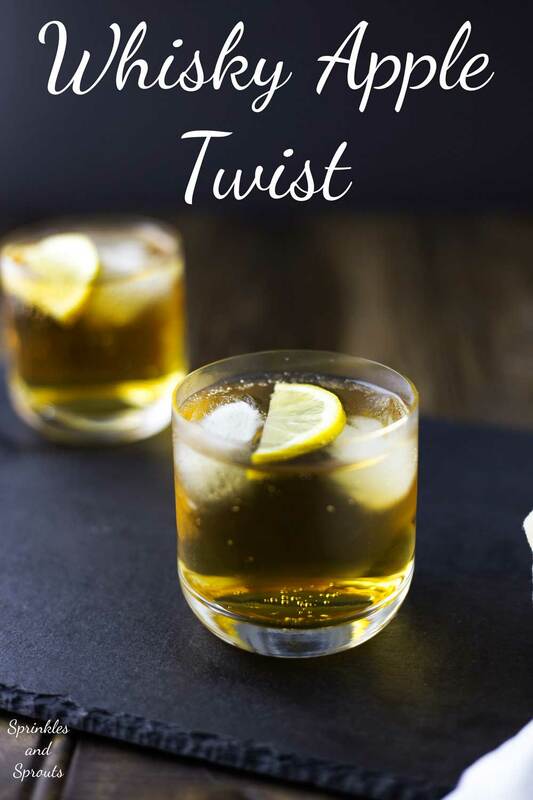 Whisky Apple Twist. This delicious whisky cocktail is seriously quaffable and perfect for serving to friends. Add a couple of ice cubes to a glass, and pour over the whisky. Swirl the glass a few times to chill the whisky down. Add the apple juice and a big squeeze of lemon. Top with the ginger ale and a slice of lemon. I’m always looking for another good whisky drink recipe 🙂 This looks tasty!! I made a whiskey apple cocktail this week too! I’ll post it next week. I would love it if you would link this up to Tipsy Tuesday at Grey is the New Black – my weekly cocktail link up! Will pop over now, thanks for the invite! Apple and whiskey go so well together! Great combo! Ooh lovely, just the thing for a chilly night! So cold here today, we have the fire roaring! I even read on ABC that we have had snow in WA!!!!!! Sending this to hubby, he will LOVE it! When I was kid my dad would drink blended whiskey with ginger ale and I thought it was awful. 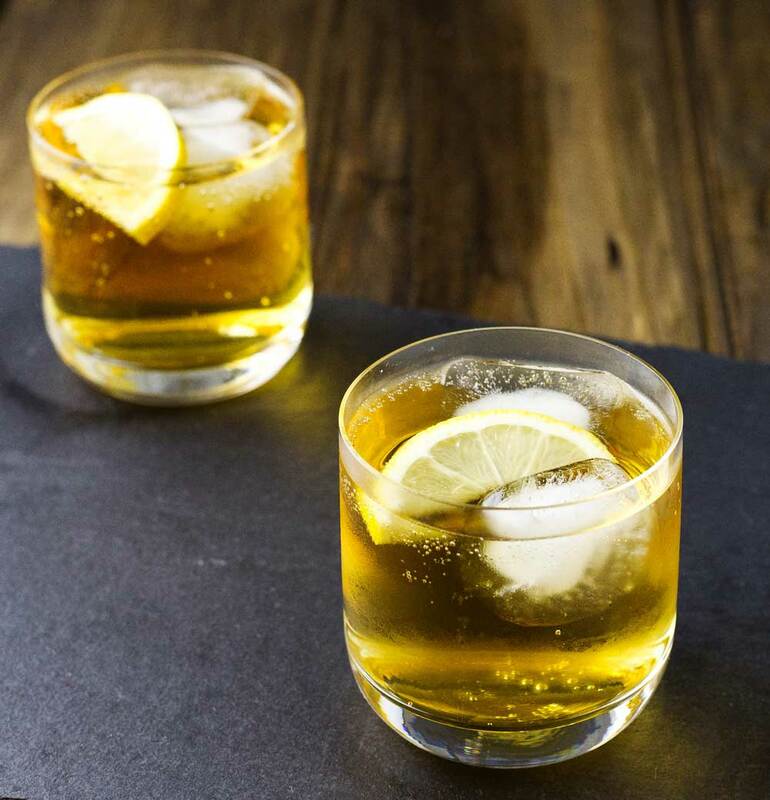 I would LOVE whisky with apple and ginger ale. I’m going to give this a try.